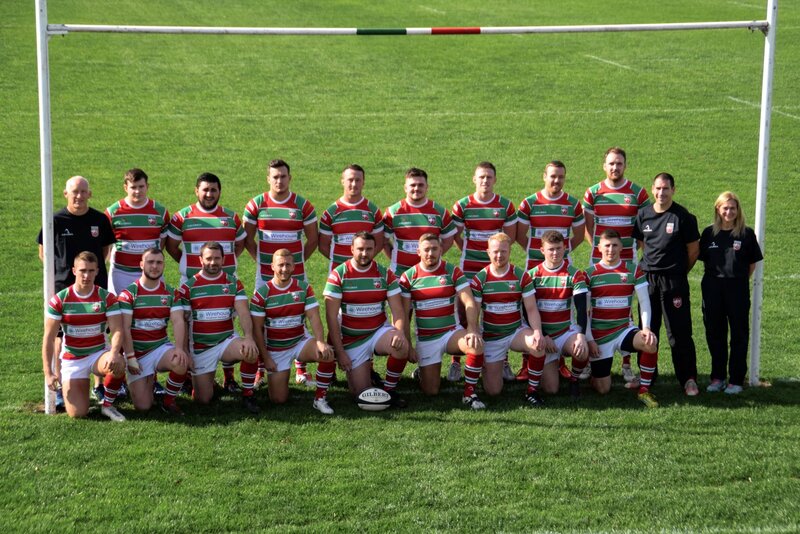 Warrington failed to enjoy a fairy tale end to their season when they leaked two late tries to Birkenhead Park, after leading 17-12 with fifteen minutes to go. They now finish ninth in North 1 West having successfully avoided relegation by achieving five point wins in their previous two games. The opening ten minutes saw both sides engaged in a prolonged arm wrestle. The stalemate was broken when Park kicked a penalty into touch five yards from the Warrington line and a deft move at the subsequent line out saw them cross for the opening try. This was converted from close to the touch line by the Park stand-off, who had obviously brought his kicking boots with him, as we went on to demonstrate with an almost flawless display. Warrington were quick to reply when Sean Callander broke from a set scrum and handed onto Kieran Hughes. The lively centre made ground before putting in a beautiful grubber kick which was seized on by Nathan Beesley, who, once again, showed that he knows the way to the try line. The conversion came from Darren Norman and the sides were level. Ten minutes later, Park pounded the Warrington line with their robust and skilled pack before releasing to the backs and scoring a good, unconverted try in the corner. But shortly before half time, Warrington came back with the try of the game. First, the industrious Jonny Evans broke through three tackles. The forwards then recycled the ball which passed through eight pairs of hands before Nathan Beesley finished off the glorious move in the corner, so that the sides turned round with the scores level at 12-12. Warrington had an early chance to go ahead in the second half when Jack Hannon’s kick to the corner just escaped the grasp of Nathan Beesley. However, it was the Hannon/Beesley combination, which provided Warrington’s third try. The energetic scrum half made yet another telling break and found Nathan Beesley in space. The exciting winger then showed his electric pace, not for the first time this season, to scorch over for his hat-trick try and give Warrington a 17-12 lead with just 15 minutes to play. Unfortunately, Warrington’s win over Park in the first match of the season was not to be replicated. The visitors now looked to their pack for deliverance and they were not to be disappointed. With ten minutes to go, the Park forwards took charge at a line out five yards out and eventually drove over. The conversion gave them a 19-17 lead. Shortly afterwards, the same game plan was well-executed and another forwards’ try, which was converted, saw them even deny Warrington a losing bonus point.